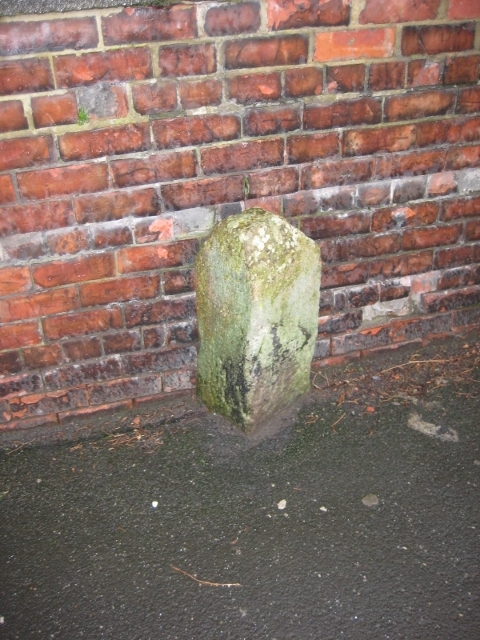 Carved stone post by the A167, in parish of BIRTLEY (GATESHEAD District), Durham Road, opp. Fire station, in pavement by brick wall, on East side of road. G/D stone Erected by the Durham & Tyne Bridge turnpike trust in the 19th century. Inscription reads:- (G / 5 / ) : : (D / 7 / ) : : . ; . Milestone Society National ID: DU_GHDH05. © Copyright IA Davison and licensed for reuse under this Creative Commons Licence.